You may have seen this trick before but let me tell you, it’s rocking my world right now. 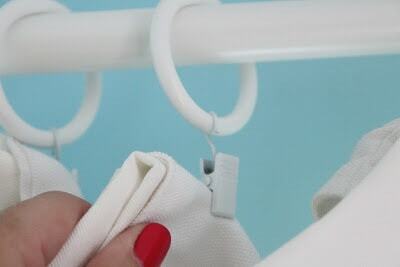 I’m a huge fan of curtain ring clips for how easy they make hanging curtains, and having the little clips visible never bothered me like I know it does to many. 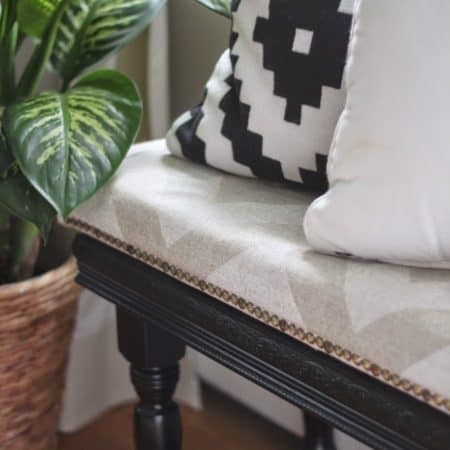 I used them on the drop cloth curtains I stenciled for our dining room…..
..they’re hanging from my DIY curtain rods in our master…. ….and I’ve used them in all my houses countless times over the years. 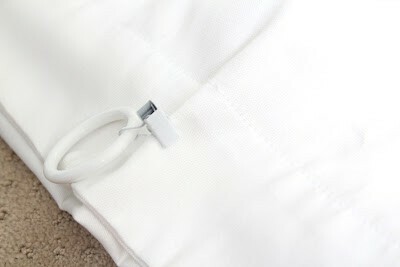 Clips are great for customizing the length of a curtain because you can fold over the top and make them the perfect length, and rings are great for curtains that are frequently pulled closed because they slide on the rod easily. With this little trick you can still take advantage of the ease and function of the ring clip, without seeing it – a small detail that I think gives a curtain a really lovely finished touch. 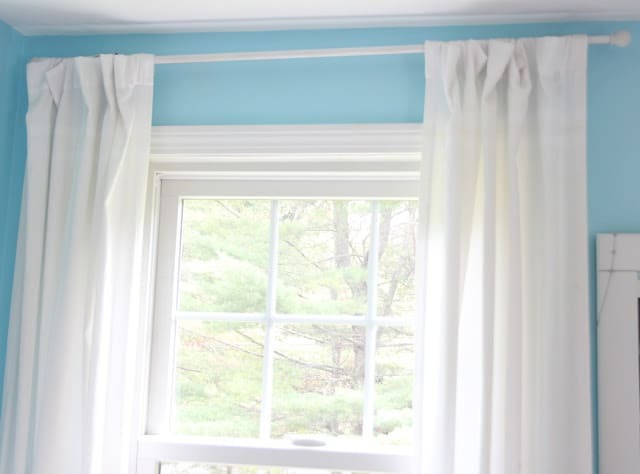 This time around I bought Ikea Merete curtains, lined with the Target curtains, and hung them with clip rings. The Merete curtains are supposed to be room darkening, but on their own they were still not light-blocking enough for my sleep lover. 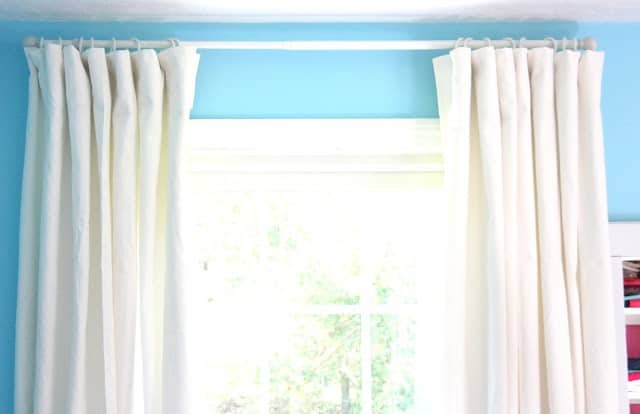 The “lined” curtains on rings are working out so much better for curtains that get pulled open and shut daily. 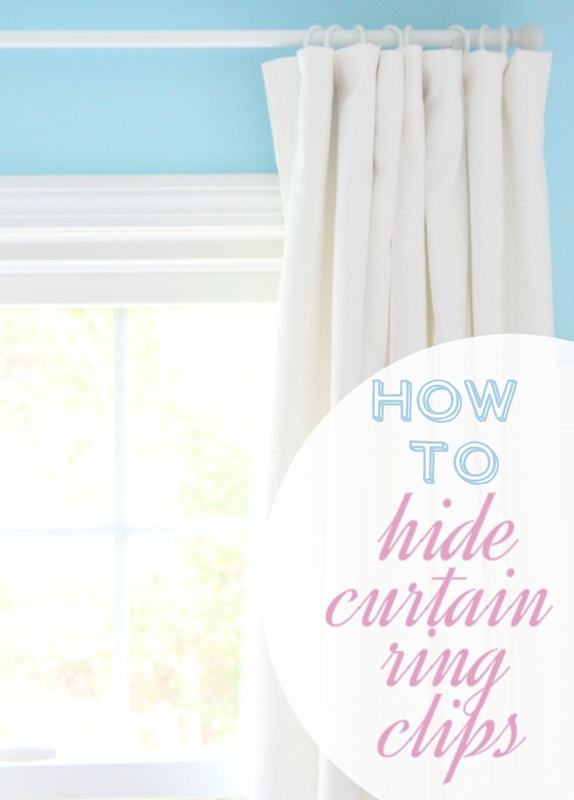 just pinch the back of the curtains and clip the rings an inch or so down from the top. 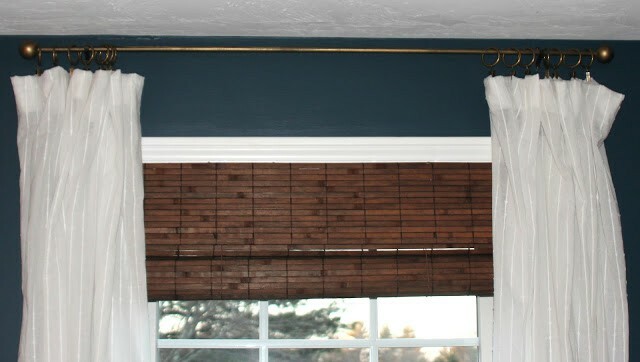 or hang the rings on the rod and then clip the curtains up. 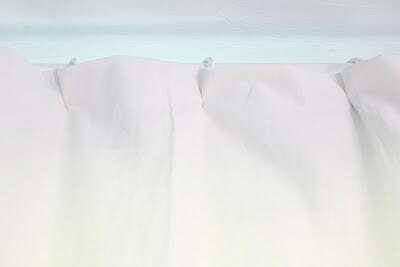 When the curtains are pulled closed the pinched areas are not very noticeable. 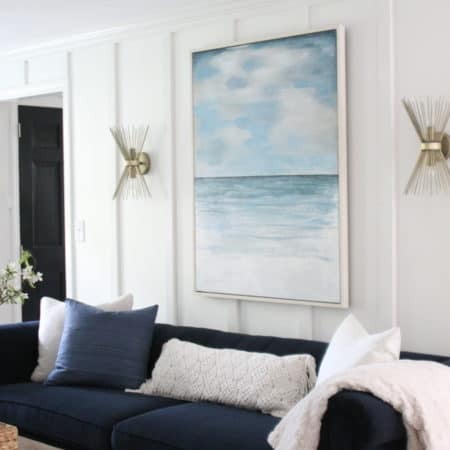 The curtains hang so nicely this way and I like just the hint of the ring at the top. Oh my what a clever idea!! I am posting this on my facebook page! Happy end of summer Lisa!! Such a good trick! 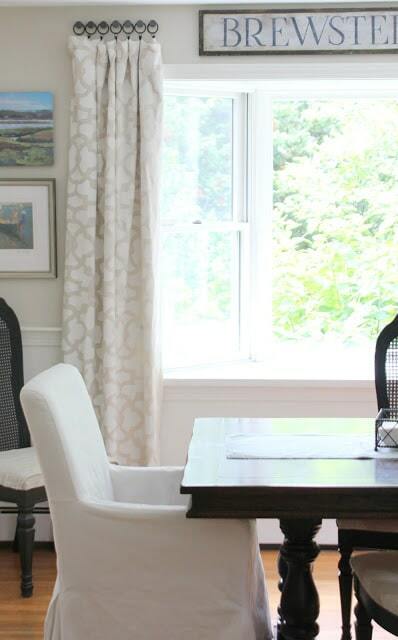 I use that one too sometimes when my curtains end up a bit too long… love it!